Je viens de regarder par curiosité les places restantes pour le spectacle de ce soir et il est clair que c'est loin d'être un grand succès... La salle n'est meme pas a moitié remplie. Mais est ce que les chinois aiment ce genre de spectacle ? Notre culture est bien différente et ce genre de programme n'est peut être pas adapté pour eux. Shanghai Disney Resort announced today that Disney’s Beauty and the Beast, the award-winning hit Broadway musical, is coming to life in Mandarin on the Walt Disney Grand Theater stage in 2018, with official casting auditions beginning this month. 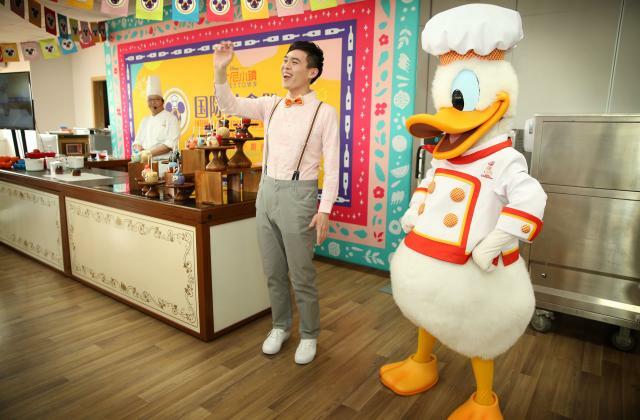 This marks the 2nd time Shanghai Disney Resort will work with Disney Theatrical Productions to produce one of the world’s most successful stage musicals in Mandarin. Building on the great success of THE LION KING mandarin production, which will play its final performance on October 8th of this year, Shanghai Disney Resort will collaborate with Disney Theatrical Productions again to bring another Disney classic Broadway spectacle to the Chinese audience. 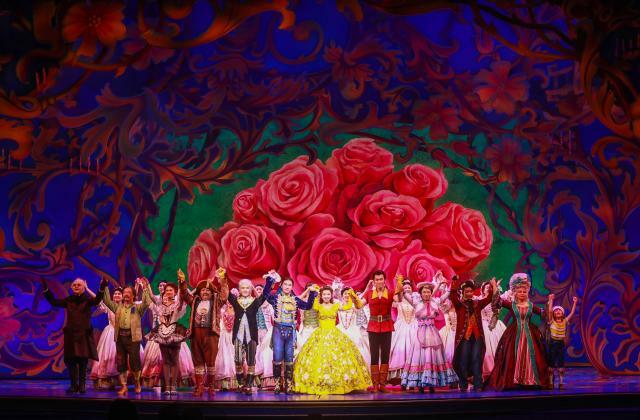 The Disney landmark musical Beauty and the Beast is one of the longest-running and highest-grossing Broadway shows of all time. 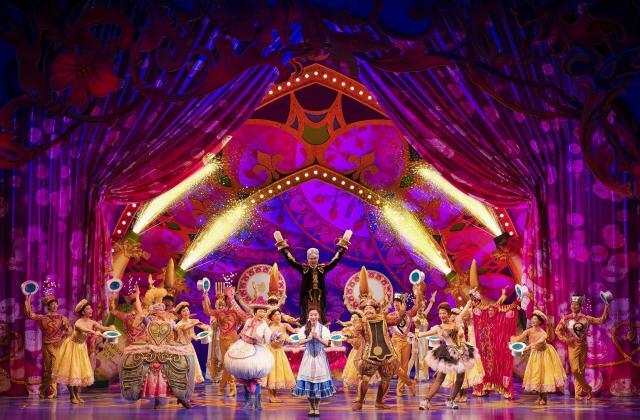 Since its Broadway premiere in 1994, Beauty and the Beast has been produced around the globe in 37 countries, been seen by more than 35 million people, earned numerous major arts awards, and is the tenth longest running musical in Broadway history. It is the classic story of Belle, a young woman who is first repelled by, then attracted to a gruff yet big-hearted Beast, who is really a young prince trapped within a beast’s body. 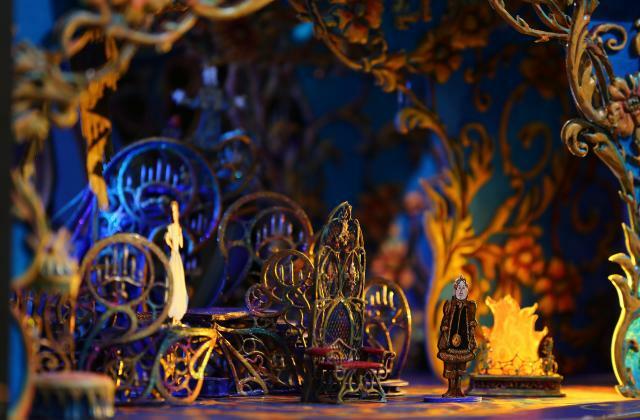 With music by Alan Menken, lyrics by Howard Ashman, and Tim Rice, and a book by Linda Woolverton, Beauty and the Beast is a romantic journey where things are not always as they seem. The new show is recruiting China’s music theatre stars as well as up and coming talent from across China at both invited and open call auditions. 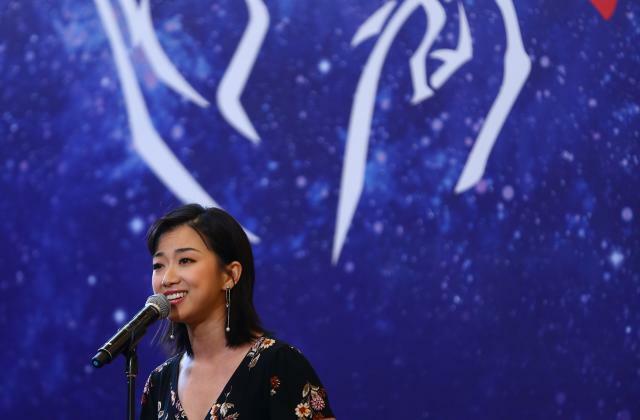 These auditions exemplify the resort’s strong commitment to showcase China’s top performers, and its dedication to developing local music theatre talent. 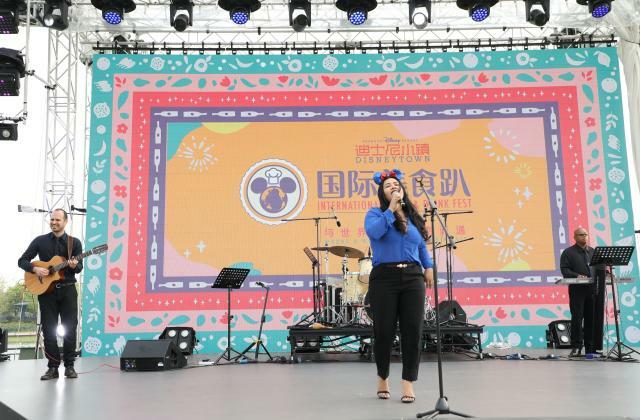 Shanghai Disney Resort continues to support the growth of China’s cultural industries while bringing spectacular world-class live entertainment to guests. 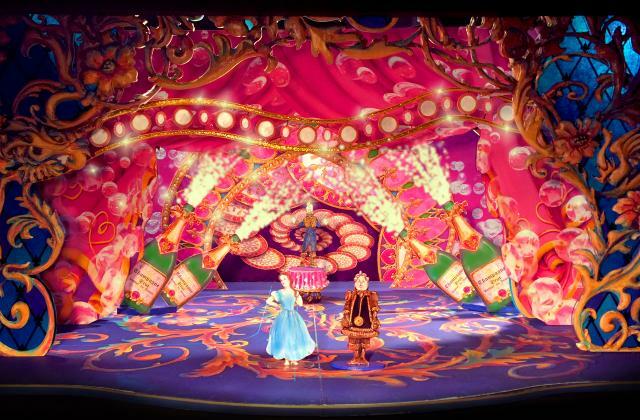 The introduction of the Mandarin production of Beauty and the Beast will be a magnificent addition to the one-of-a-kind, immersive entertainment guests can discover at Shanghai Disney Resort. Beauty and the Beast will be performed at the 1,200-seat Walt Disney Grand Theater, one of most visited landmarks at the resort. 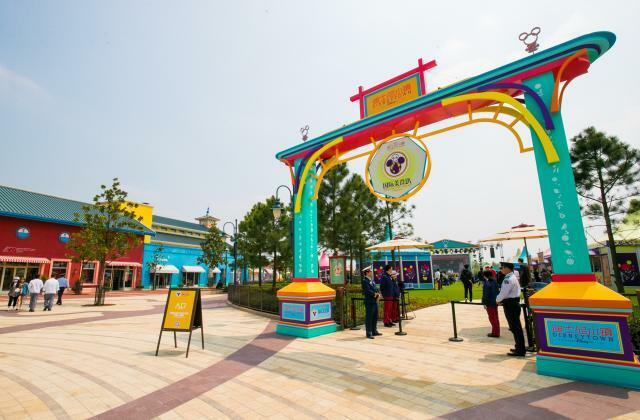 For more information on casting auditions, please visit the Shanghai Disney Resort official audition Wechat account: DisneyAuditions. Shanghai Disney Resort - le 1er septembre 2017. 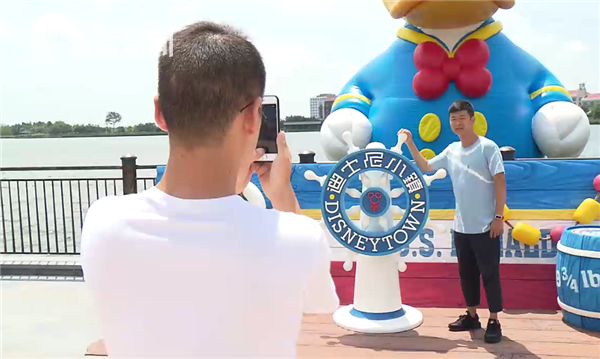 Shanghai Disney Resort today announced its participation for the first time in the annual Shanghai Shopping Festival, and Disneytown, the large shopping, dining and world-class entertainment district of the resort, will host the festival’s opening ceremony in Pudong District on September 8, 2017. The Shanghai Shopping Festival is one of the most iconic platforms to demonstrate Shanghai’s commercial, service, and brand development, and in its eleventh consecutive year, the festival is expected to further promote shopping excitement across the city and generate widespread promotion for Shanghai’s incredible range of retail options. As a shopping, dining, and entertainment district with the allure of a charming village and the excitement of an international crossroads, Disneytown, which is known as a place for guests to reconnect with family and friends to explore a variety of exciting experiences, is the perfect choice for the launch of this year’s festival. 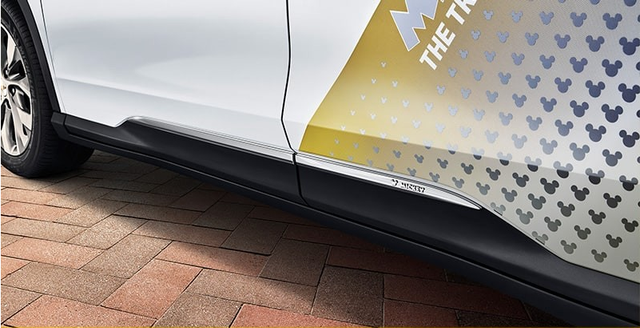 Stores across Disneytown will celebrate the festival with specially arranged experiences and exclusive offerings throughout the month-long campaign. 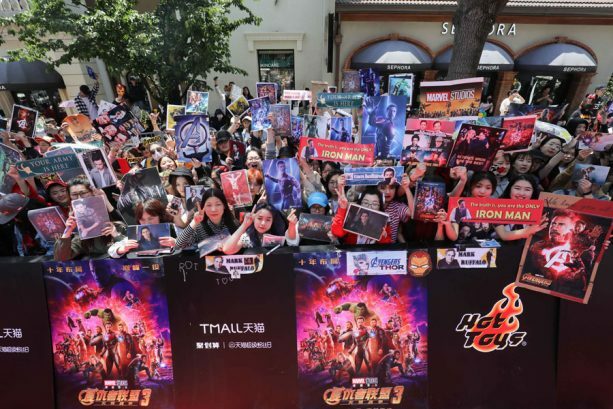 Located adjacent to Shanghai Disneyland, Disneytown has become one of the most popular destinations in Shanghai over the past year for a spectacular series of entertainment programs, dazzling festive decorations, seasonal food and beverage offerings, and themed shopping experiences. There are nearly 50 tenants at Disneytown, including the first World of Disney Store in Asia and a diverse mix of retailers plus exciting restaurants for families and convention guests alike. 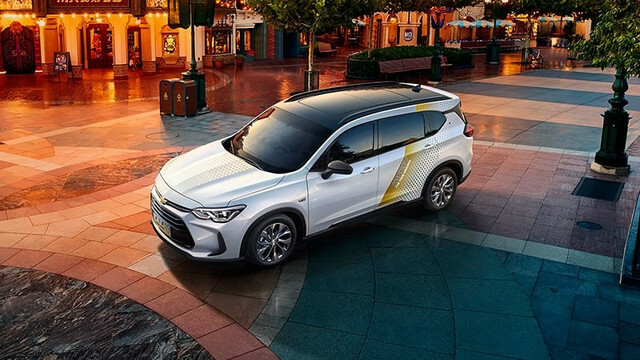 Wandering around the district, guests will recall the traditional Shanghainese style of Shikumen architecture, get excited when they encounter Disney characters, and enjoy live outdoor entertainment programs delivered by lively and talented performers—from Chinese traditional instrumentalists to dancers, musicians, and DJs. Moreover, Disneytown has also celebrated a variety of festivals such as the Moon Festival, Halloween, Christmas, and Chinese New Year with tailored decorations, as well as inspiring events such as the Celebrate Earth activities and world-class movie premieres for Pirates of the Caribbean: Dead Men Tell No Tales and Beauty and the Beast. 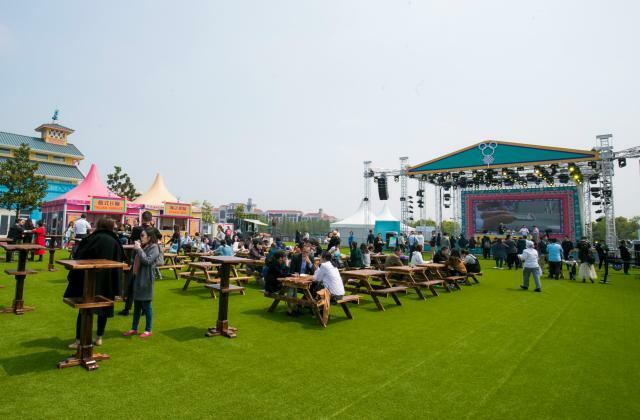 Shanghai Disney Resort’s outdoor recreational areas, from Disneytown to Wishing Star Park, are some of the best places to celebrate the true splendor of nature with an array of leisure activities. Disneytown’s unique, immersive atmosphere is a natural extension of the Disney experience for theme park guests, featuring more than 46,000 square meters of distinctive shops and restaurants over five unique areas with no charge of admission. 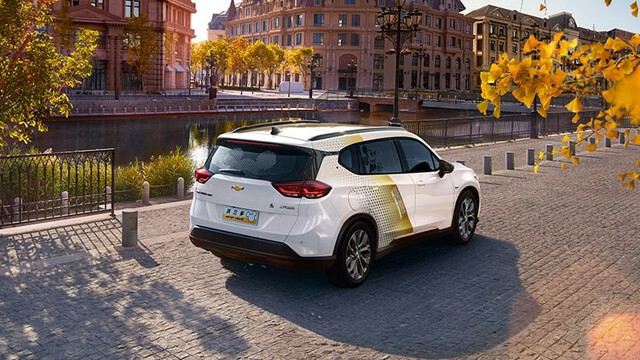 It is also a great standalone destination for residents of Shanghai, a place to consider for lunch, dinner, a shopping excursion or to catch a Broadway show. Shanghai Disney Resort - 5 septembre 2017. A la chasse aux Stormtroopers à travers Disneytown ! Calling all members of the Rebel Alliance! 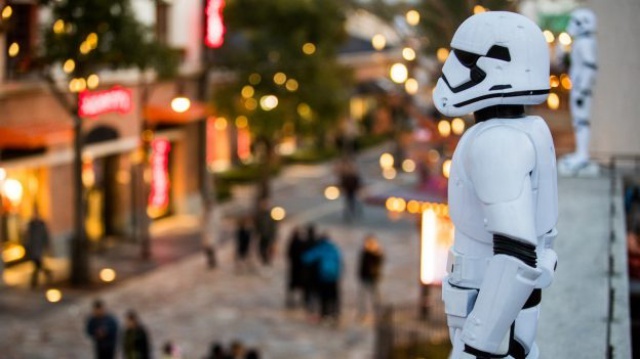 We need your help tracking down dozens of Stormtroopers hiding across Disneytown at Shanghai Disney Resort. 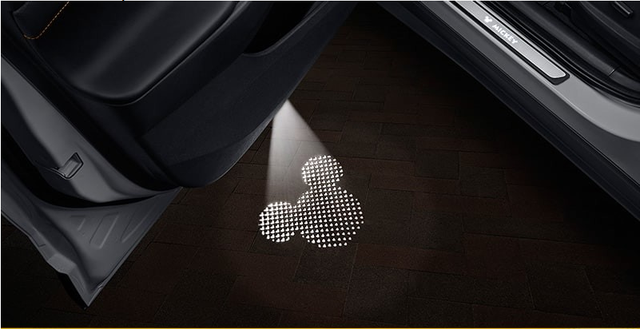 Find them, and you just might be rewarded for your bravery. 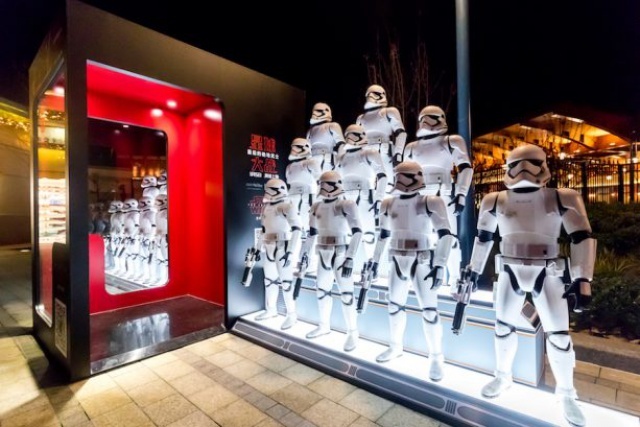 As excitement builds in mainland China for the arrival of Star Wars: The Last Jedi in theaters this Friday, following its China premiere with the cast at Walt Disney Grand Theatre several weeks ago, guests with a WeChat social media account can now get in on the action. Just snap a selfie with every Stormtrooper you can find at Shanghai Disney Resort, post it on WeChat and follow the Disneytown Official WeChat to get a Star Wars-themed gift. But hurry – we’re hoping for their retreat as soon as possible. If you’re visiting Shanghai Disneyland and looking for more of the Star Wars saga, step inside Star Wars Launch Bay where you’ll encounter props, costumes and memorabilia from a galaxy far, far away and come face to face with some of your favorite characters. May the force be with you! 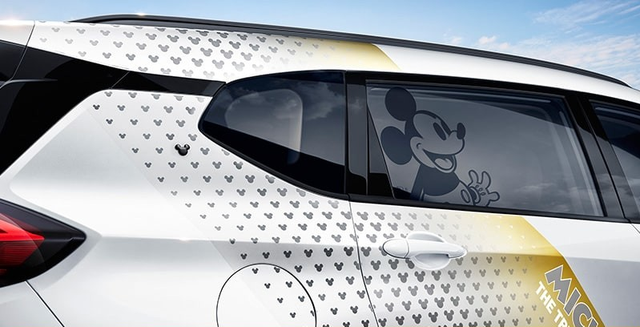 Disney Parks Blog - 4 janvier 2018. 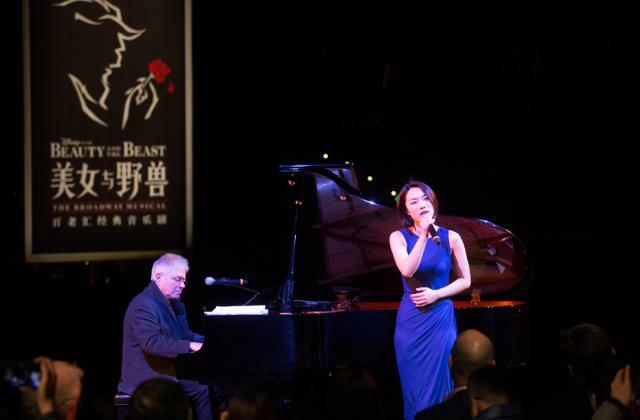 Alan Menken en visite au Walt Disney Grand Theatre, le compositeur y a donné une représentation, en duo avec l'actrice chinoise XU Meng, à l'occasion d'un événement presse marquant le début de la promotion du nouveau spectacle musical La Belle et la Bête en mandarin qui débutera cet été au Walt Disney Grand Theatre de Disneytown. 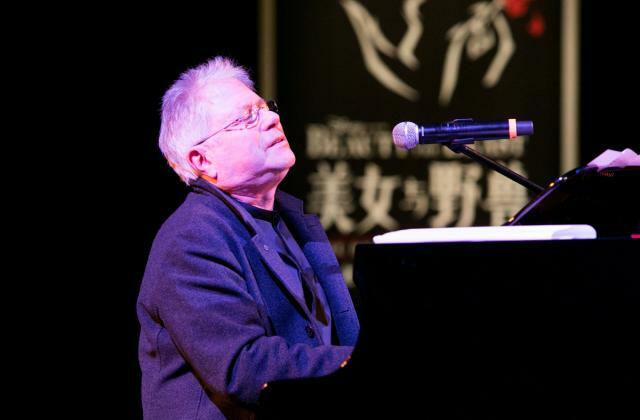 Alan Menken, the Disney Legend who has won more Academy Awards than any living individual and helped shape the sounds of world beloved stage musicals, films and television shows over the last 40 years, visited the Walt Disney Grand Theatre in Disneytown today for a press event promoting the newest hit Broadway musical set for Shanghai Disney Resort — “Beauty and the Beast”. 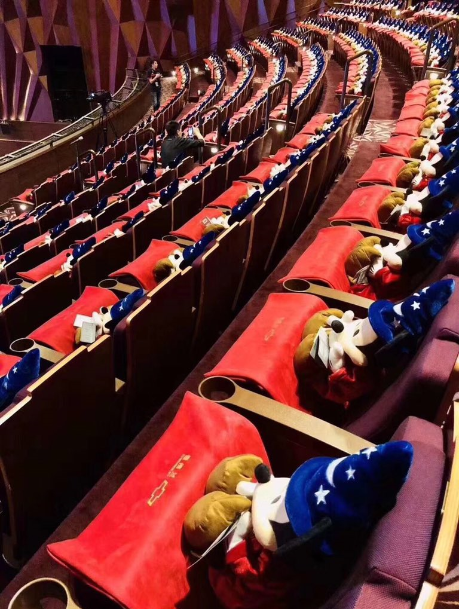 Cast members for the highly anticipated Mandarin production were also revealed today alongside Menken as the new production gears up for its premiere this summer at the Walt Disney Grand Theatre. 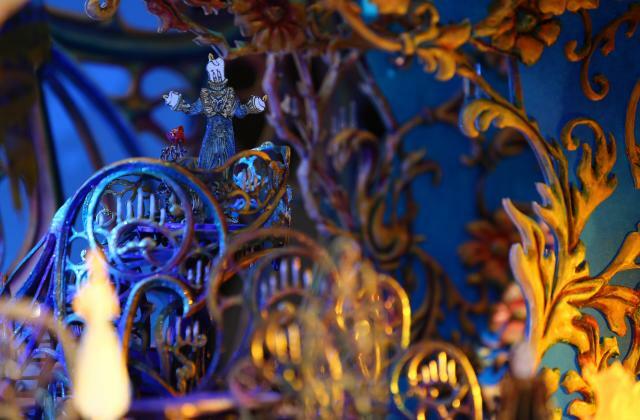 With its universal appeal and timeless story, “Beauty and the Beast” will be the second joint collaboration between Shanghai Disney Resort and Disney Theatrical Productions as they recreate the renowned stage musical in an inspired Mandarin production, and build on the great success of THE LION KING Mandarin production. 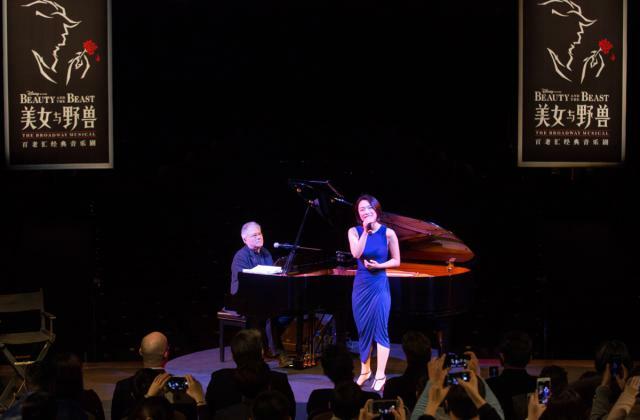 During today’s event, Menken gave a memorable performance of his chart topping songs and a touching duet of “Beauty and the Beast” with the Chinese actress, XU Meng, who will play Mrs. Potts. 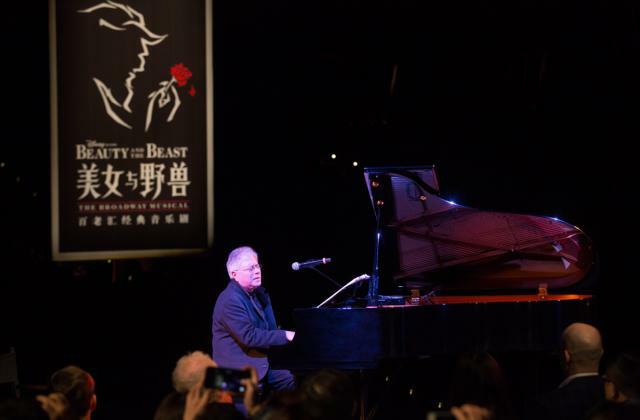 After an on-stage discussion about his passion for music, history with Disney and his journey with “Beauty and the Beast”, Menken was joined on the stage by some of the cast members from the new “Beauty and the Beast” Mandarin production for a magical moment to celebrate the shared appreciation and excitement for its upcoming debut. 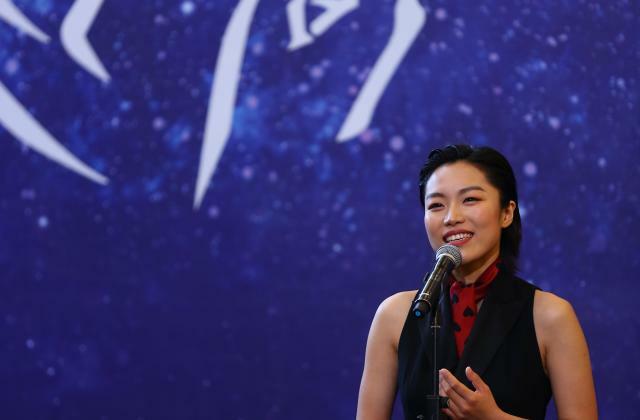 The new cast comprises musical theatre stars and talents from across China, underscoring the resort’s strong commitment to developing Chinese performers, and its dedication to cultivating local musical theatre talent. 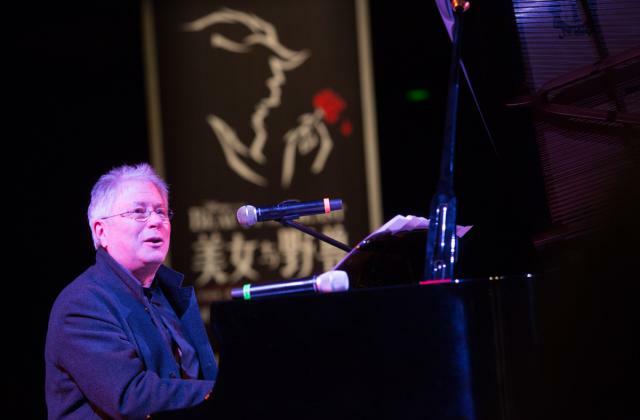 As the composer for the original animated film, including the Oscar winning theme song, “Beauty and the Beast,” Menken has helped to make this story a global hit, composing a score of musical masterpieces that, to this day, captivate and resonate with audiences of all ages. 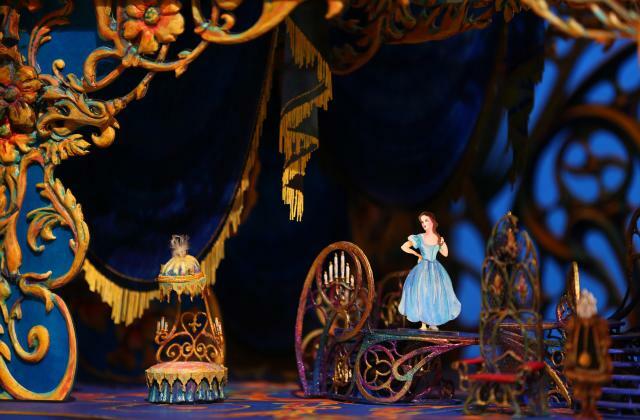 Following its feats on screen, the film was transformed into musical stage show that premiered on Broadway in 1994. Since then, the musical has become one of the longest-running and highest-grossing Broadway shows of all time, having been enjoyed by more than 35 million audience members from across 37 countries and regions. 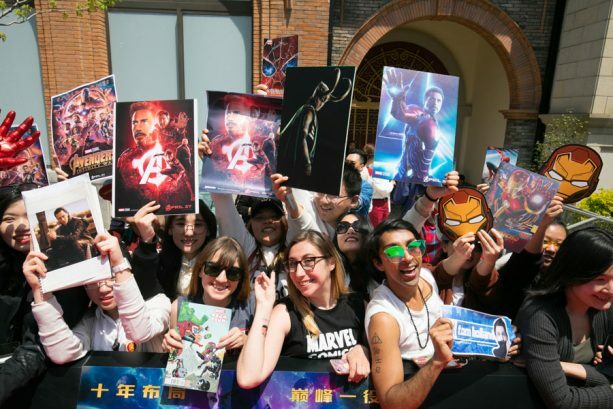 Last year Walt Disney Grand Theatre also played host to the Chinese premiere of Disney’s “Beauty and the Beast” live-action movie, drawing fans from across the country for a glimpse at the tale as old as time. 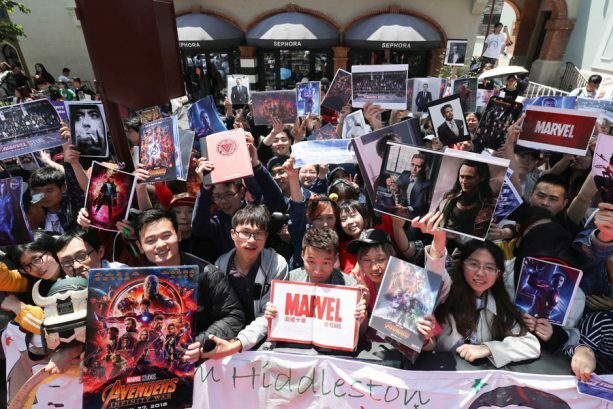 The movie enjoyed great box office success in China, as the story’s appeal cut across generations and its beautiful songs resonated deeply with Chinese audience. Shanghai Disney Resort - 6 février 2018. 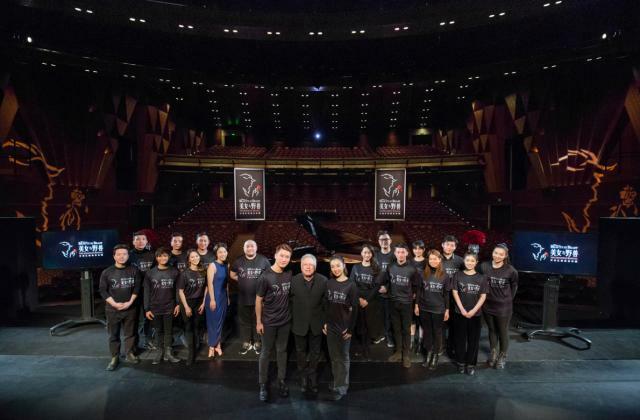 Disney Legend Alan Menken was joined today by some of the new cast of the highly anticipated Beauty and the Beast Mandarin production coming to Walt Disney Grand Theatre at Shanghai Disney Resort this summer. 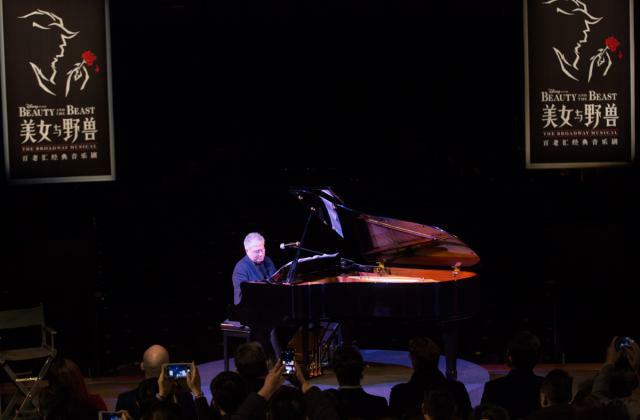 With more Academy Awards than any other living person, Alan Menken has helped compose so many of the musicals we know and love around the world. 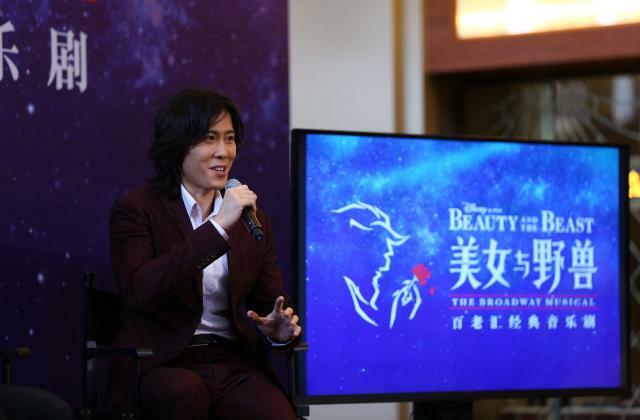 Today, he performed a few of his chart topping songs, including a special duet of the Oscar-winning song “Beauty and the Beast” with Chinese actress Xu Meng, who will play Mrs. Potts. 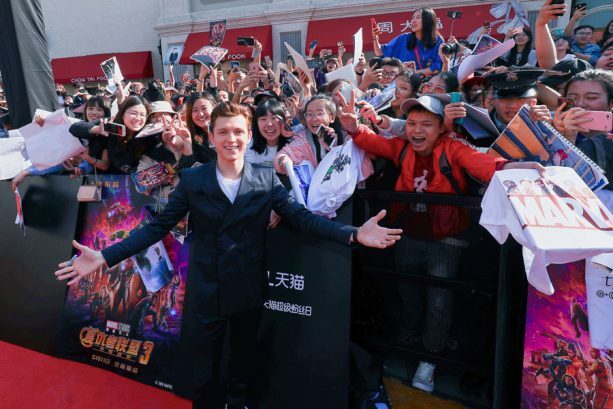 The new cast includes musical theater stars and talent from across China performing one of the longest-running and highest-grossing Broadway shows of all time. This Mandarin production will be the second collaboration with Disney Theatrical Productions to recreate the renowned stage musical. Disney Parks Blog - 6 février 2018. Le Disney Magical Film Festival débute ce jeudi 29 mars 2018 au Walt Disney Grand Theatre de Disneytown. 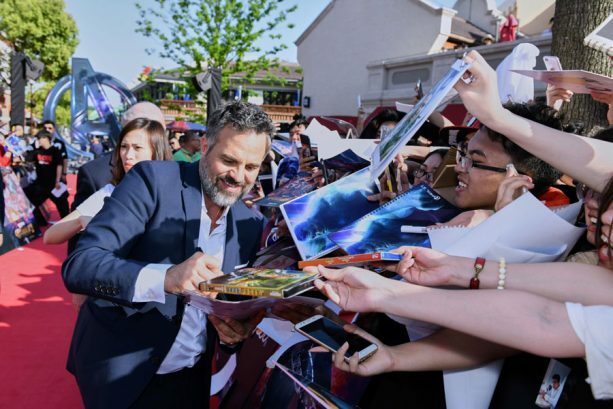 Deux films, précédés d'un avant-programme immersif, seront projetés tout au long du festival qui prendra fin le 15 avril 2018. Selon les jours et la programmation, il s'agira soit de La Reine des Neiges, soit de Toy Story 3. Des produits dérivés inspirés de ces deux films seront proposés à l'achat dans le hall d'entrée de la salle de spectacle. Les billets d'entrée pour assister à ces projections uniques sont en vente depuis ce matin. 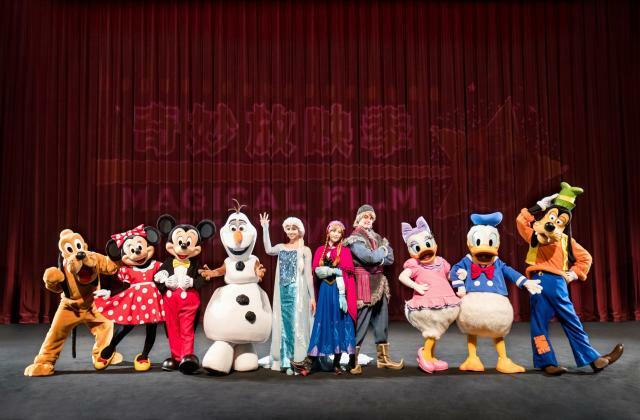 From March 29 to April 15, 2018, the Walt Disney Grand Theatre in Disneytown will host the Disney Magical Film Festival, featuring two beloved Disney and Disney•Pixar animated films – Frozen and Toy Story 3, together with exciting pre-shows that make for a fun and immersive new entertainment experience for Shanghai Disney Resort guests. 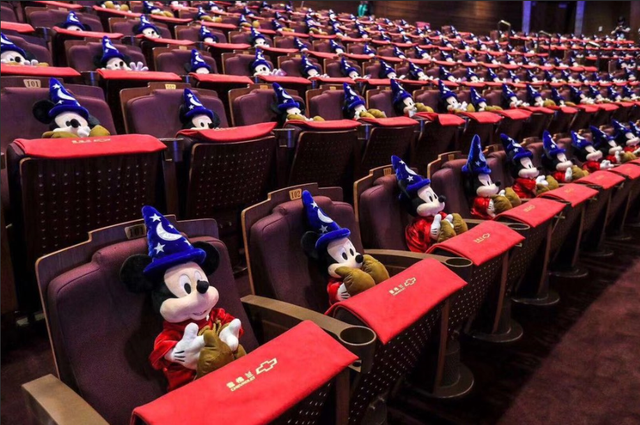 During the Disney Magical Film Festival, both films will be presented in stunning 3-D, and before each of the screenings, a host of entertainers plus Mickey and pals will appear on the stage to deliver memorable performances with magical effects to kick off the unique film experience. 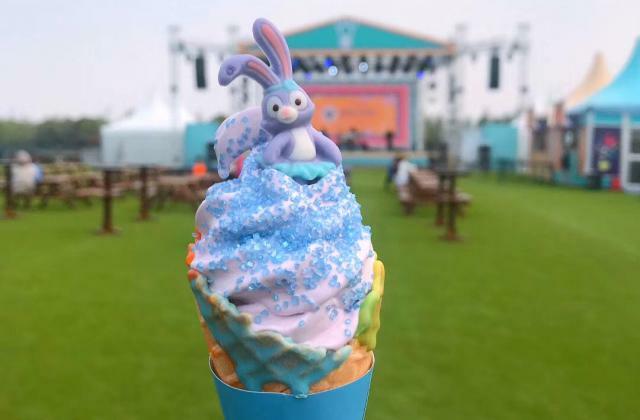 In celebration of Shanghai’s emergence from the cold of winter, and the arrival of spring, from March 29 to April 1, film festival guests will be able to re-visit the Kingdom of Arendelle at the Frozen screenings. Before the film, guests will have the chance to see Anna and Elsa and witness a magical snow surprise, experiencing the story like never before. 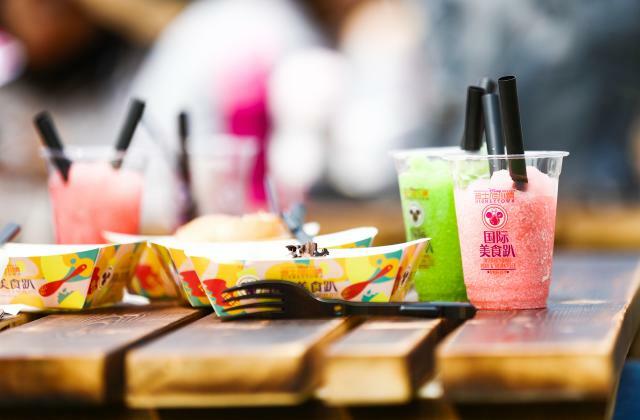 Then, on selected dates from April 5 to 15, subject to the screening calendar, guests will be transported back to Sunnyside Daycare as they enjoy Toy Story 3 just meters away from the exciting new themed land, the soon-to-open Disney•Pixar Toy Story Land. Before each screening, guests will be able to meet Woody, Buzz and their Toy Story friends to share in the fun and imagination. 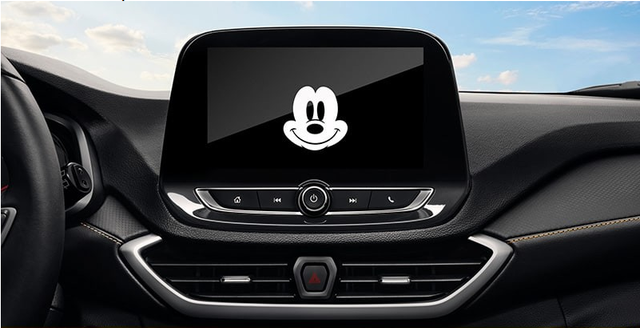 The new interactive film screenings will add a fresh element of entertainment for guests coming to the theme park, or making a dedicated trip to Disneytown, immersing them into the beloved Disney and Disney•Pixar stories. Guests can also find Frozen and Toy Story themed merchandise available for purchase in the lobby of the Walt Disney Grand Theatre. 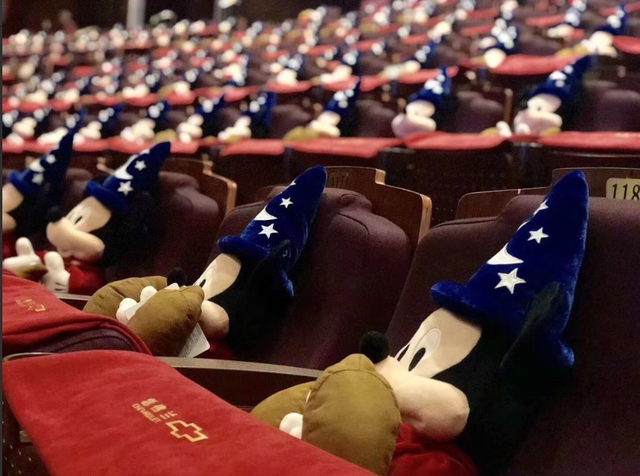 From today, guests can purchase Disney Magical Film Festival tickets at the box office of the Walt Disney Grand Theatre, the resort’s official website and WeChat account, as well as a third party ticketing channel Tao Piaopiao. 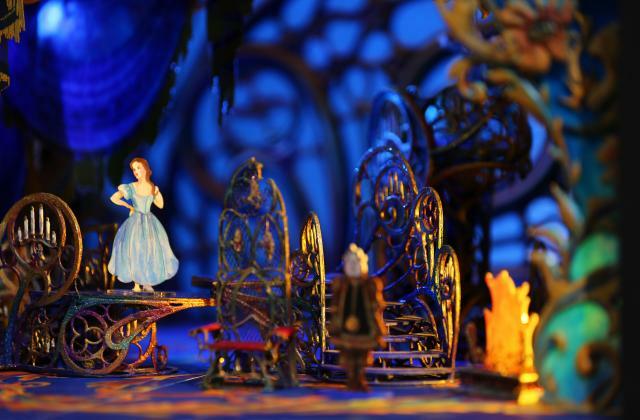 Guests can find more details regarding the festival from the resort’s official website www.shanghaidisneyresort.com. 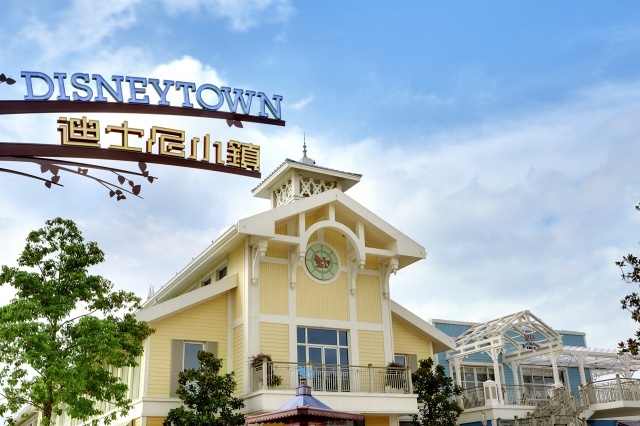 Located adjacent to Shanghai Disneyland, Disneytown is a shopping, dining and entertainment district for guests to connect with family and friends while enjoying the magic of Disney. With the allure of a charming village and the excitement of an international crossroads, Disneytown offers guests a vast assortment of stores and restaurants to meet their every taste. Nestled at the intersection Broadway Plaza and Broadway Boulevard, Disneytown’s Walt Disney Grand Theatre was home to the first-ever Mandarin stage production of the hit Broadway musical, THE LION KING, and will present another award-winning hit Broadway musical, Disney’s Beauty and the Beast, in Mandarin starting this summer. Shanghai Disney Resort - 26 mars 2018. 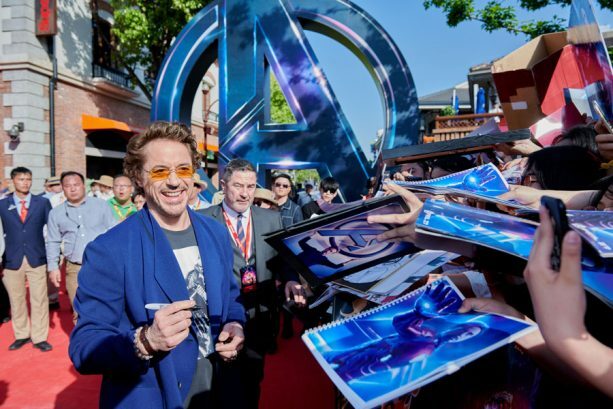 Réalisateurs et acteurs de Avengers : Infinity War (Joe Russo, Anthony Russo, Robert Downey Jr., Tom Hiddleston, Mark Ruffalo et Tom Holland) ont assisté à l'avant-première chinoise du film au Walt Disney Grand Theatre de Disneytown ! La Première du spectacle musical La Belle et la Bête aura lieu le 14 juin prochain au Walt Disney Grand Theatre de Disneytown et est programmé dès le lendemain pour le grand public. Comme le précédent spectacle (Le Roi Lion), il est présenté en Mandarin. Les billets seront en vente à partir du 24 mai 2018. 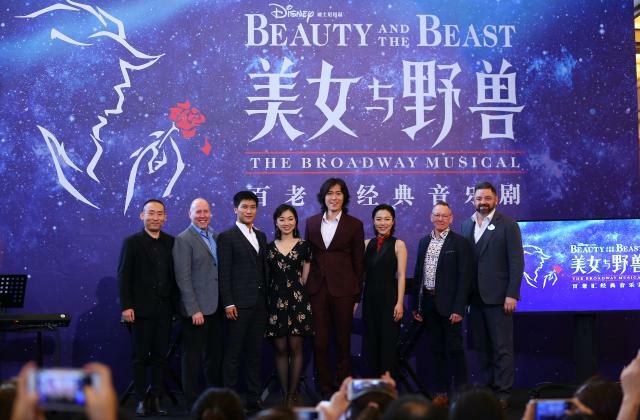 Shanghai Disney Resort today revealed the premiere date for the highly anticipated Broadway musical BEAUTY AND THE BEAST, set to take the stage at the Walt Disney Grand Theatre in Disneytown on June 14. Tickets for the world-renowned stage performance will go on sale beginning May 24. 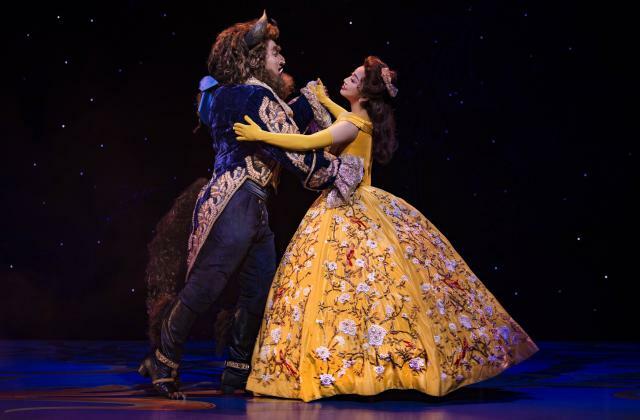 “BEAUTY AND THE BEAST was Disney’s first musical on Broadway and ultimately became one of the longest-running and most beloved shows of all time. 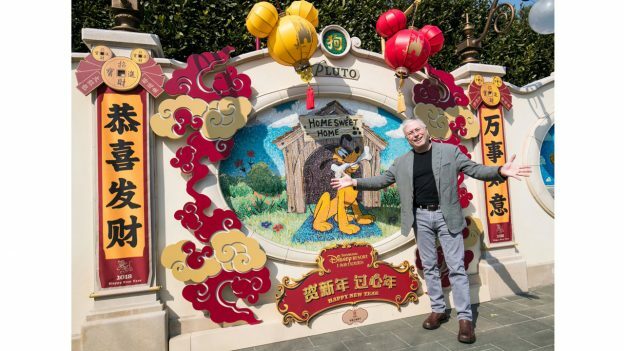 Following the success of THE LION KING, I am thrilled to collaborate with the Shanghai Disney Resort team once again and to welcome the Broadway production’s original director, Rob Roth and his creative team as they recreate this treasured story for Chinese audiences at the beautiful Walt Disney Grand Theatre,” said Thomas Schumacher, president and producer, Disney Theatrical Productions. BEAUTY AND THE BEAST tells a timeless story with universal appeal that makes it an ideal live-entertainment experience for guests of all ages, and a truly memorable family outing. It is the classic story of Belle, a young woman who is first repelled by, then attracted to a gruff yet big-hearted Beast, who is really a young prince trapped within a beast’s body. 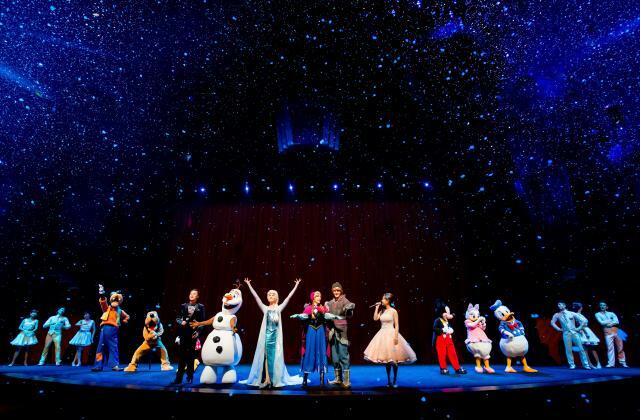 The new production offers guests the chance to witness an authentic and unforgettable Broadway show at a Disney resort, providing a unique opportunity and making this a must-see part of any visit. The musical’s premiere will be held on June 14, before opening to public the following day. Tickets will be available from May 24 on the Shanghai Disney Resort official website (https://www.shanghaidisneyresort.com/en/), Damai.cn, and the other official resort travel trade providers. 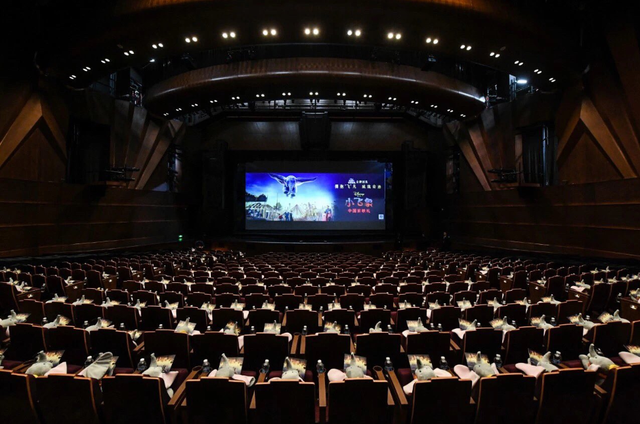 The extensive auditions and recruitment of the new production search spanned six months around China, leading to the selection of more than 80 gifted performers and crew members who will bring the show to life when it premieres this June. The original Broadway Creative Team, including Rob Roth (Director), Michael Kosarin (Music Director), Matt West (Choreographer), Stanley A. Meyer (Set Designer), Ann Hould-Ward (Costume Designer) and Natasha Katz (Lighting Designer), are in Shanghai working with the local cast and crew as they rehearse this spectacular production. 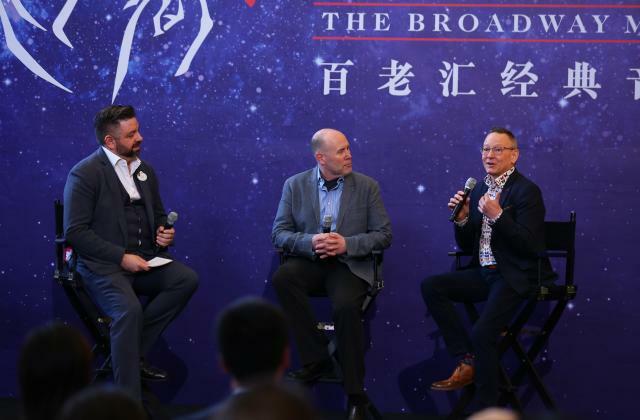 The preparation and production of the new show is another example showcasing Disney’s commitment to delivering world-class entertainment in Shanghai, supporting Chinese performers and musical theatre talent, and fostering a strong musical theatre industry in China. Shanghai Disney Resort - 14 mai 2018. La production et le cast du nouveau spectacle musical La Belle et la Bête ont été présentés officiellement lors d'un récent événement qui s'est tenu au Walt Disney Grand Theatre de Disneytown. La robe de Belle y a été dévoilée et on a également pu y découvrir différentes scènes du spectacle reconstituées en miniature. Le nouveau spectacle permanent joué en mandarin débute le 14 juin prochain, la vente des billets commence demain sur le site officiel du resort et auprès des partenaires officiels. 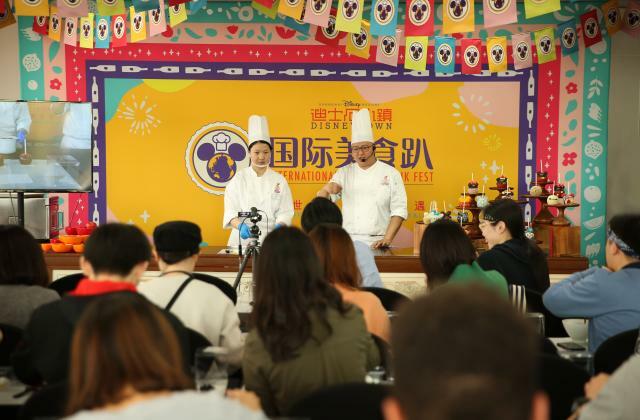 Shanghai Disney Resort held a special event today to give an early glimpse of the highly anticipated new Mandarin production of the BEAUTY AND THE BEAST musical. 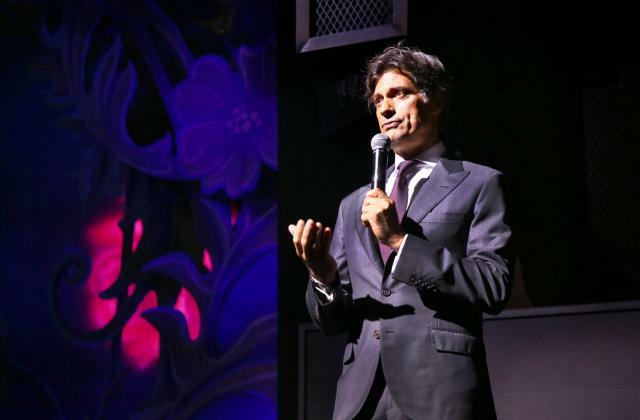 The event took place amidst rehearsals as the show leads up to the official opening night at the Walt Disney Grand Theatre in Disneytown this summer. Tickets go on sale beginning May 24. The show will debut with a special premiere on June 14 and begin performances for the general public the following day. Members from the international production team are in Shanghai working with the talented local cast and crew as they rehearse this spectacular musical that has captured the hearts and imaginations of more than 35 million people across more than 37 countries since its premiere on Broadway in 1994. During the event today, Sam Scalamoni, associate director for the new BEAUTY AND THE BEAST Mandarin production, shared behind-the-scenes stories from rehearsals leading up to the premiere. 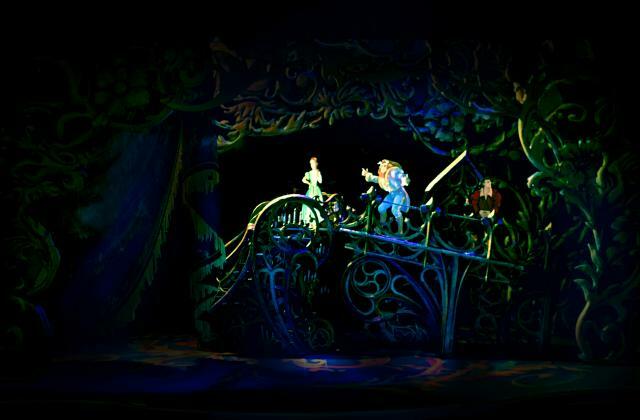 Stanley A. Meyer, the show’s scenic designer, gave participants a vivid visual description of the enchanting stage design and the advanced technology that will bring the production to life. The cast for the new musical comprises a strong roster of vocalists, actors, dancers, musicians and performers of all ages. Some of the cast members joined the event today, including Guo Yao-Rong, who plays Belle; Sun Dou-Er, who plays Beast; Liu Yang, who plays Gaston; and Xu Meng who plays Mrs. Potts. Mrs. Potts opened the event with a touching recital of the show’s title song, “Beauty and the Beast,” accompanied by Music Director Sun Yu-Zhuo. Sun later accompanied the beautiful Belle as she gave an enchanting performance of the song, “A Change in Me,” showcasing her spectacular vocals and charming stage presence that will captivate audiences when the curtain rises in Disneytown this summer. Beast and Gaston shared stories about their journey with the show during a special appearance of their own. The stunning costumes play an important role in this new show and one of the most eye-catching elements for guests at the event was Belle’s iconic ball gown that was on display. 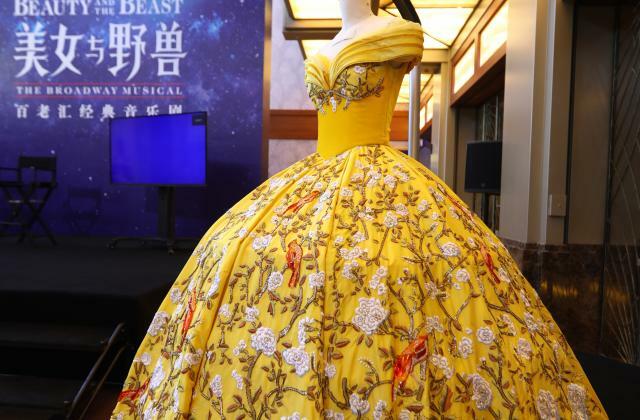 The dazzling gown was specially designed for the production by award-winning designer Ann Hould-Ward, who received a Tony Award for her role designing costumes for the original BEAUTY AND THE BEAST musical. Starting tomorrow, May 24, tickets for the new musical will go on sale to the public on the Shanghai Disney Resort official website (www.shanghaidisneyresort.com/en/), Damai.cn, and through other official resort travel trade providers. Guests are encouraged to reserve their place for the new production early in order to witness the authentic Broadway show as it lands at the resort this summer. Shanghai Disney Resort - 23 mai 2018. Le spectacle musical Disney’s Beauty and the Beast a été dévoilé hier soir au Walt Disney Grand Theatre de Disneytown en présence du réalisateur Rob Roth, d'officiels, de célébrités locales et internationales et évidemment de fans Disney. Cette nouvelle production du Walt Disney Grand Theatre, qui présente des décors et costumes ré-imaginés, est accessible au public dès ce soir. 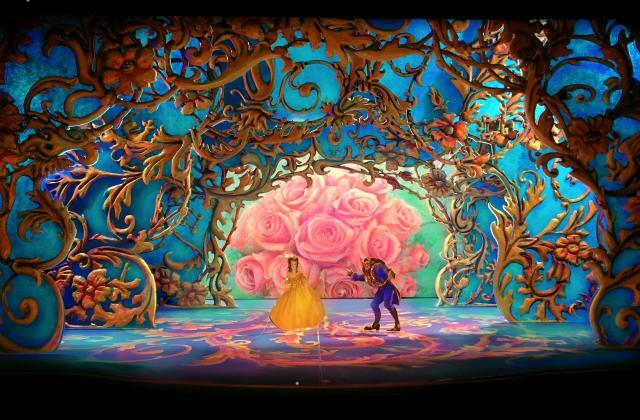 Shanghai Disney Resort celebrated the premiere of the new Mandarin production of Disney’s BEAUTY AND THE BEAST musical tonight with the ‘tale as old as time’ captivating audiences for the first time in Disneytown. 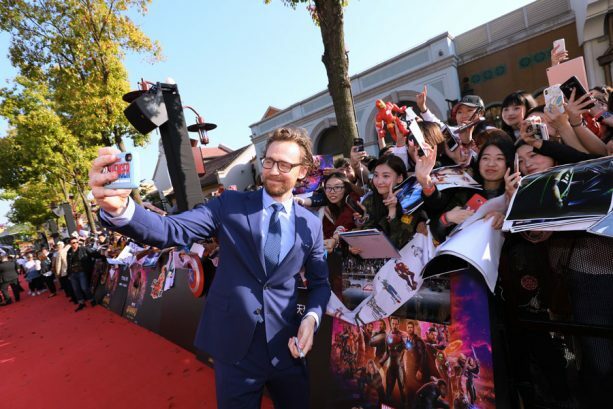 A special red-carpet leading to the Walt Disney Grand Theatre welcomed celebrities; the show’s international creative and production team, including the director of the original Broadway production, Rob Roth; as well as leaders from Shanghai Disney Resort and Disney Theatrical Productions to the special event. 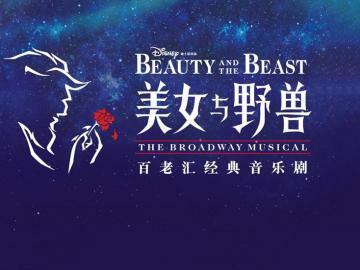 BEAUTY AND THE BEAST, one of the longest-running musicals in Broadway history, came to life on stage today for the first time in Mandarin at the Walt Disney Grand Theatre in Disneytown. The dazzling new Broadway-style entertainment experience features a first-class cast, stunning costumes, splendid stage designs and enchanting music, woven together to immerse the audience in the romantic tale that has been enjoyed by more than 35 million people around the globe. 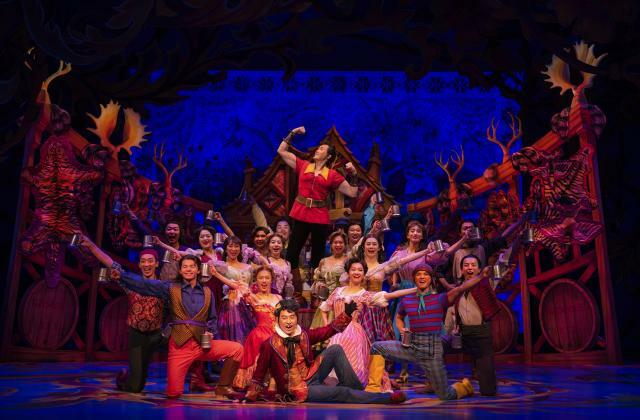 The show represents the second collaboration between Shanghai Disney Resort and Disney Theatrical Productions, and integrates the classic tale with local language translations, talented local cast members and specially adapted story elements to create a captivating new production that will resonate with audiences of all ages. 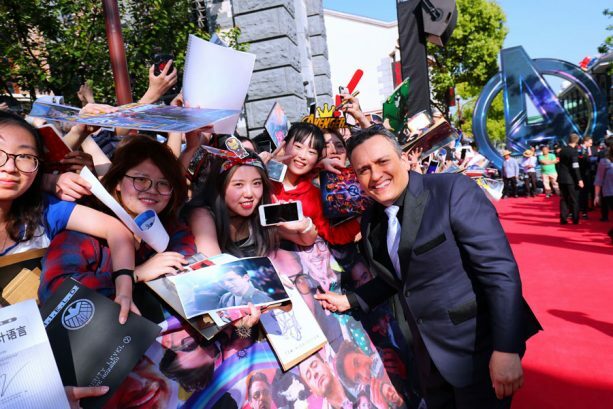 The premiere commenced with a star-studded red carpet event, which included Shanghai Disney Resort Grand Opening Honorary Ambassador Sun Li, local and international celebrities, members from the show’s international production team, musical aficionados, Disney fans, and other special guests, who then entered the theatre to take in the magic of opening night. Tonight’s premiere marks a milestone moment for the show after undergoing more than a year of preparations — including nation-wide auditions, brand new Mandarin translation, reimagined stage and costume design, rigorous rehearsals, and more—culminating in a new, Broadway-caliber musical production. Opening to the public beginning June 15, the show comprises an approximately two-hour program with a 15-minute intermission, and offers a great addition to a visit to the resort, or a perfect visit opportunity all on its own. 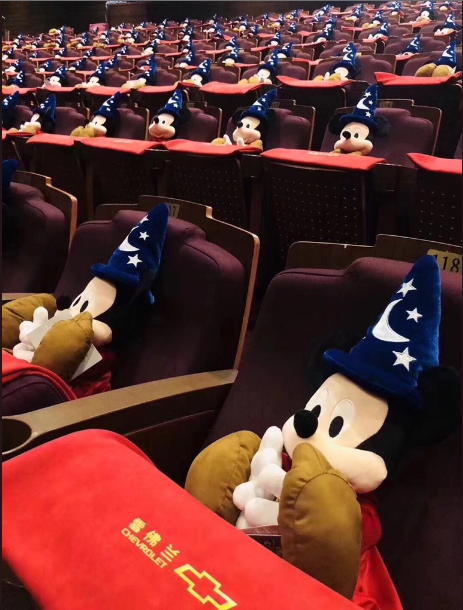 Tickets are available at the Walt Disney Grand Theatre box office, on the Shanghai Disney Resort website (www.shanghaidisneyresort.com ), Damain.cn, and the other official resort travel trade providers. Shanghai Disney Resort - 15 juin 2018. 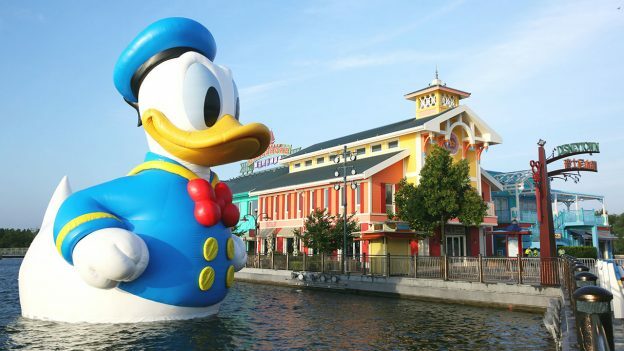 On peut difficilement manquer le Donald Duck de 11 mètres de haut qui a élu domicile sur les eaux du Whising Star Lake aux abords de Disneytown ! Et pour quelle occasion ? Encore si c’etait temporaire, genre anniversaire ! 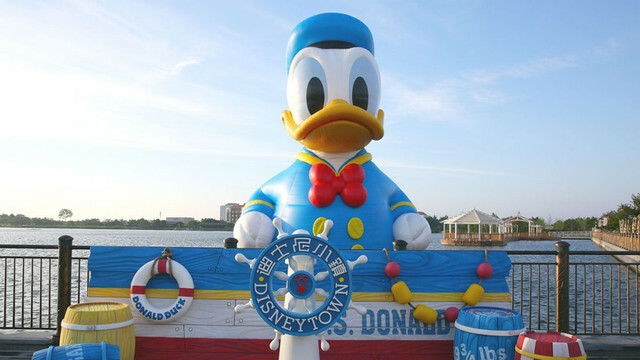 On July 9, the resort launched its new attraction, a giant inflatable ‘sculpture’ of none other than the fan-favorite Donald Duck. 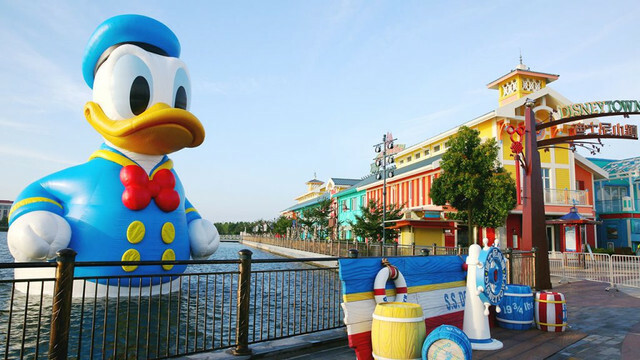 The giant rubber duck will float in the lake for the summer and is expected to become a main attraction in the resort. Without a doubt, it didn't take long for the Disney mascot to capture the hearts of citizens and tourists alike. Visitors have been rushing to the resort to take photos with their favorite childhood character ! Be sure to catch a glimpse of him before he’s gone ! 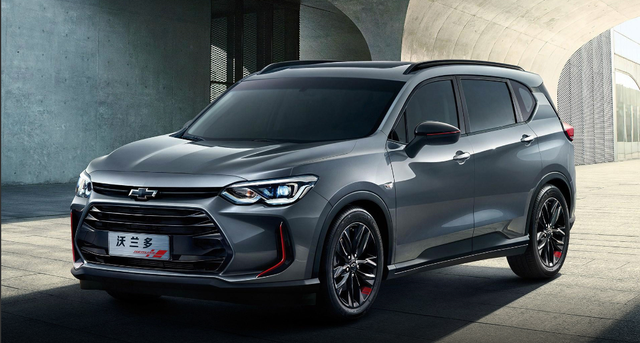 Lancement de la nouvelle Chevrolet Orlando spécialement développée pour le marché chinois ! Chevrolet, partenaire du resort présentant deux attractions situées à Tomorrowland (TRON Lightcycle Power Run – Presented by Chevrolet et TRON Realm – Chevrolet Digital Challenge), a choisi de présenter la nouvelle version de son véhicule au Walt Disney Grand Theatre de Disneytown ! 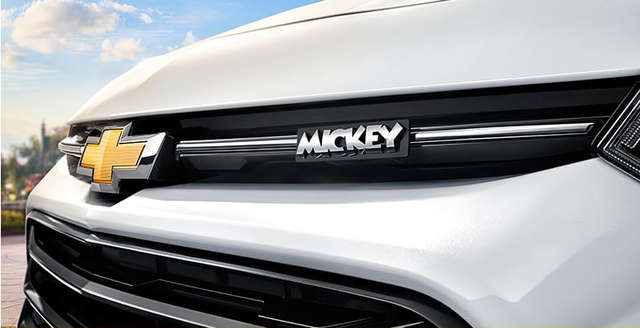 Présentée en septembre dernier, la nouvelle Chevrolet Orlando se décline également dans une édition spéciale pour le marché chinois avec Mickey Mouse jusque dans les moindres détails ! 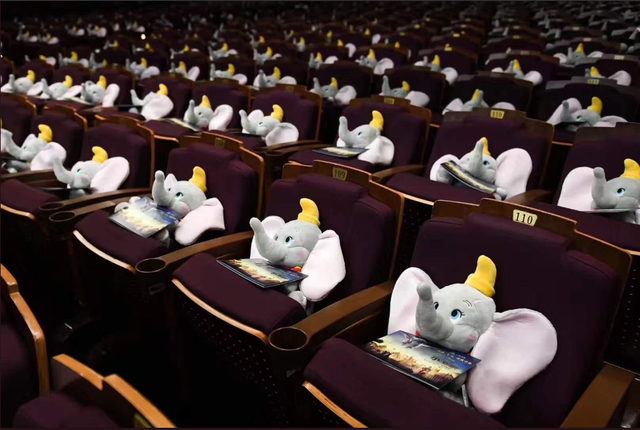 Avant-première de Dumbo au Walt Disney Grand Theatre de Disneytown ! Le film sort le 29 mars en Chine. Le permier festival International Food & Drink Fest a débuté ! 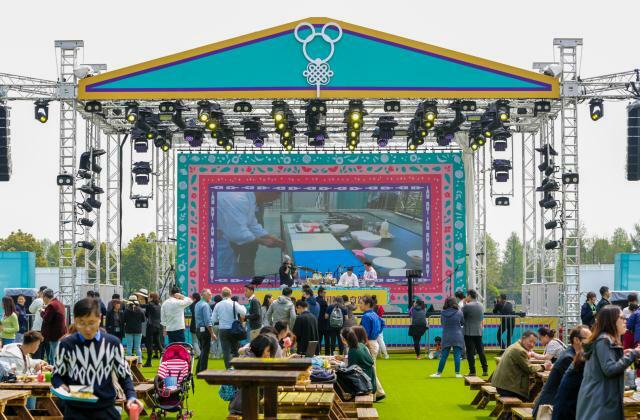 A world of flavors awaits at Shanghai Disney Resort’s inaugural International Food & Drink Fest that opens today in Disneytown. From today through May 4 the new festival will feature an incredible assortment of delectable dishes and drinks, fantastic cooking-inspired activities - including the Disney · Chef Cooking Show and the Disney · Chef Studio - and lively entertainment that will immerse guests in all the sights, sounds, tastes and magic this brand-new festival has to offer. 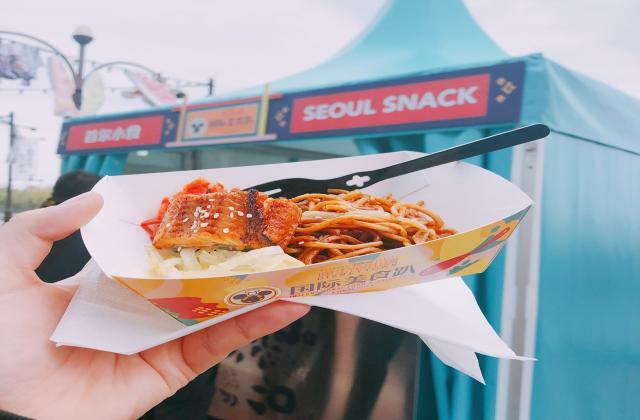 From Latin Cantina to Italian Terrace, Seoul Snack to Hawaii Sweet, 13 different international food booths throughout the festival market will offer guests tempting tastes from a number of countries and regions from around the globe. Menus from each location feature unique dishes and snacks created using fresh, healthy ingredients as well as a range of non-alcoholic beverages, beer, wine and cocktails from every corner of the globe. Guests can also discover a delicious array of sweet treats including ice cream, chocolate cakes, cranberry apple pies and more. 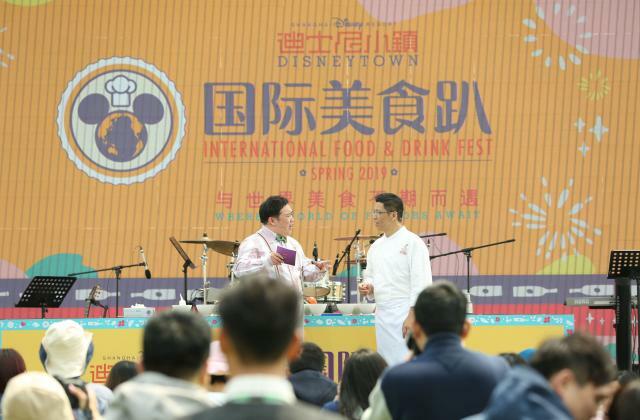 For guests looking to develop their passion for cooking, or meet the talented chefs behind the resort’s tastiest creations, the daily Disney · Chef Cooking Show at Disneytown’s Lakeshore Lawn is an opportunity not to be missed! 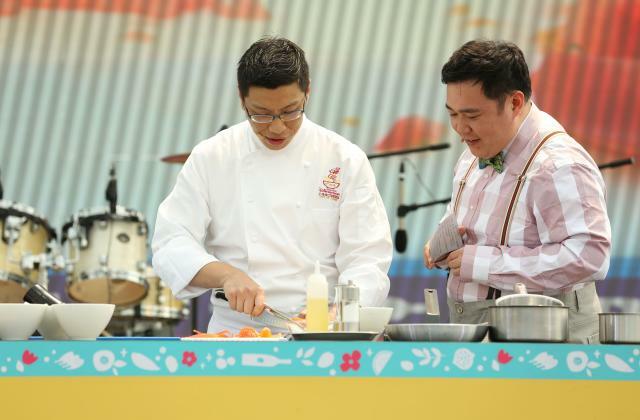 Here, local Disney chefs and culinary experts share their passion for creative cuisine by hosting live on-stage showcases as guests learn their techniques, tricks and tips and discover recipes that they can recreate at home. Guests of all ages are also invited to enhance their experience by participating in the new Disney · Chef Studio where they can spend time learning how to make some of the resort’s most popular dishes, such as the New Zealand Venison Duo, Blue Summer Crab Salad and Lobster Risotto, or try their hand at combining a number of ingredients to make their very own Disney candy apples, Disney chocolate marshmallows or Minnie cranberry muffins. The fun-filled Chef Studio is free to join and runs several times a day from Monday to Friday, with special classes also focusing on dessert decorating, coffee demos, wine tasting and more. 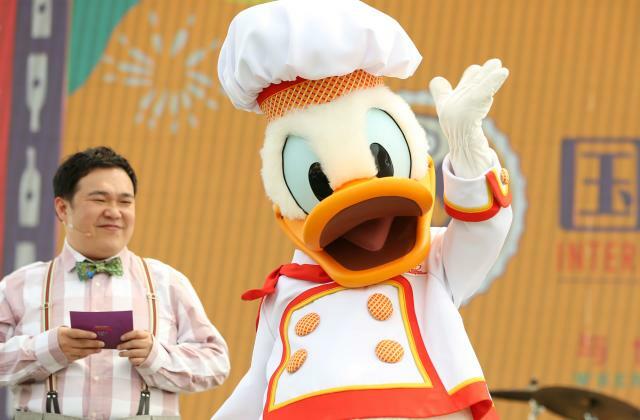 Chef Donald will also make special appearances at both the daily Disney · Chef Cooking Show and the Disney · Chef Studio on the weekends to meet and greet all in attendance. Throughout the festival, a stellar lineup of talented artists and bands are also performing live for guests adding to the incredible entertainment offerings and special activities scheduled for the daily Open-air Show on the Disneytown stage. 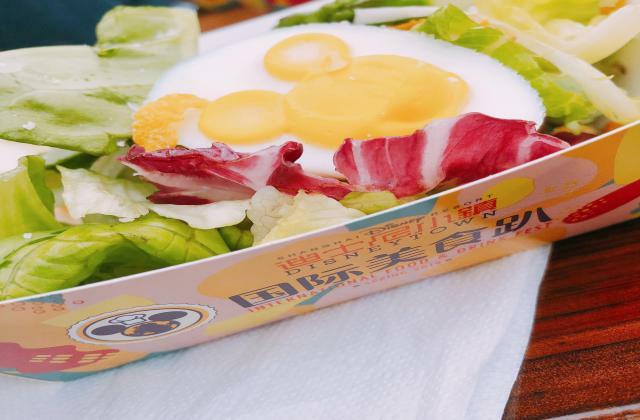 The International Food & Drink Fest opens today and will run through May 4. 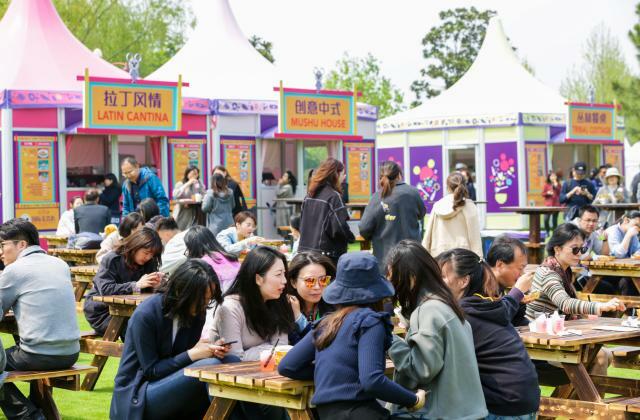 Tickets for the Food & Drink Fest can be purchased via the official Shanghai Disney Resort WeChat account and through the resort’s travel trade partner Meituan Dianping. In addition, Annual Pass holders can also enjoy complimentary admission to the festival Monday through Friday (excluding May 1-3, 2019).